"The LEAP program provided priceless information about my own body" - Oxford Biomedical Technologies, Inc. I am doing great, just very busy as always! The LEAP program worked well for my digestion and stomach discomfort. It gave me a visual and a recording of what foods that I thought I reacted to, as well as foods I had no idea I was sensitive to. The diet was fairly easy to maintain during testing, perhaps because I’m not a chef, and therefore less choices for meals was easy to work with. My family also joined in (by default), and now we all have a great understanding of the good/bad ingredients in most foods. It has been 1 year since I my initial test, I still refer to my pocket card and most of the time avoid foods listed as yellow and red, and I still maintain a gluten/dairy free diet 95%+ of the time more out of awareness, not necessity. I would recommend the LEAP program for EVERYONE regardless of bothersome symptoms or no symptoms. 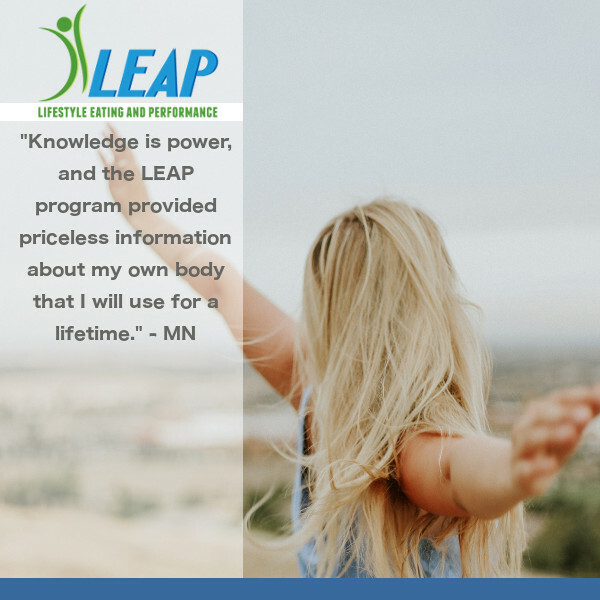 Knowledge is power, and the LEAP program provided priceless information about my own body that I will use for a lifetime.